You can now stream audio clips or purchase the album as a digital download - the entire album or individual tracks - right here, right now - with the CD Baby Music Player below. Catalogue No. PEL1004 Physical CDs no longer in stock. Please order downloads from CD Baby through the music player above. 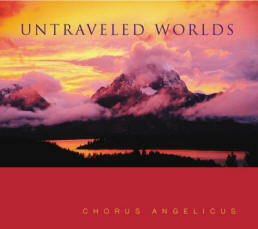 Chorus Angelicus provides the perfect voice for a song journey around the world. Physical CDs no longer in stock. Please order downloads from CD Baby through the music player above. Chorus Angelicus, the internationally acclaimed children's choir directed by Grammy-winner Paul Halley, delivers a polished presentation of beautiful choral repertoire from around the world. Last heard on a Telarc release with such luminaries as Meryl Streep, Dawn Upshaw, and the London Symphony Orchestra, this accomplished ensemble shines in a new compilation of their most vibrant repertoire from Serbia and Russia to South Africa and the Dominican Republic. Sophisticated interpretations of the styles and languages of twelve different countries, and the unusual instrumentation on accompanied pieces, create a distinctive tone of authenticity and atmosphere. Opening with the title cut, "Untraveled Worlds", a new composition by Paul Halley based on the Tennyson poem "Ulysses", the listener is immediately engaged upon a magical journey to distant worlds. "…so clear, so tight an ensemble, sounding as one voice at times, and the quality of that sound almost as a resonating glass of water." “This CD demonstrates what can be done by young performers in even the most rural setting, with proper direction and inspiration. A SUPERB recording, both in terms of performance and recording technique. "WHERE have you all been hiding this incredible chorus?? I was reading through the program notes and noticed that they have been in existence since about 1991. I placed the disc into my computer and listened as I was working on some projects and - was just blown away!! Not only is the blend of their voices perfect, but the musical message expressed by these young singers is absolutely awesome! The sound of the full chorus just wraps around you like angel wings and lifts one's spirits to a higher level. That's the best way that I can describe my feelings when I was introduced to this intriguing CD release. And then, there is the production aspect -- outstanding, to say the least. You should receive some kind of an award for this release. Thank you for this wonderful introduction to Chorus Angelicus.....may there be many more CDs in their future." 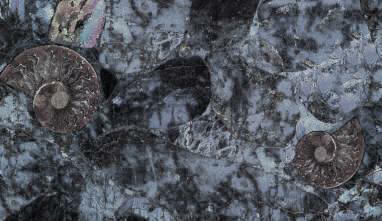 "I am stunned silly by the beauty of Chorus Angelicus. What an achievement! The voices and the musicianship are nothing short of outstanding. And thrilled I was to hear, on "Untraveled Worlds", the little Poulenc Ave Maria, exquisitely sung, in the perfect Poulenc medium. He always loved more than any other sound the glory of children's voices. I think he would have been absolutely ecstatic to hear this rendition." and the staff at Joyful Noise, Inc.